I had to have a go at the August challenge over on The Joy of Sets Facebook group. It's a Christmas themed challenge and as if that wasn't enough of a reason to get involved it's also a prize challenge this month. Go over and check it out and join in! 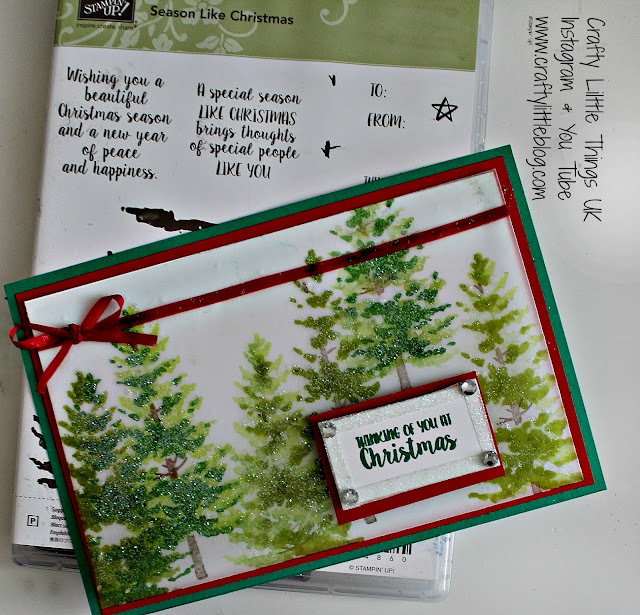 My card uses my favourite stamp set from last Christmas and I've used three different shades of green and some red card stock, an embossing folder, some vellum, ribbon, glitter, rhinestones, washi tape... it's all going on!